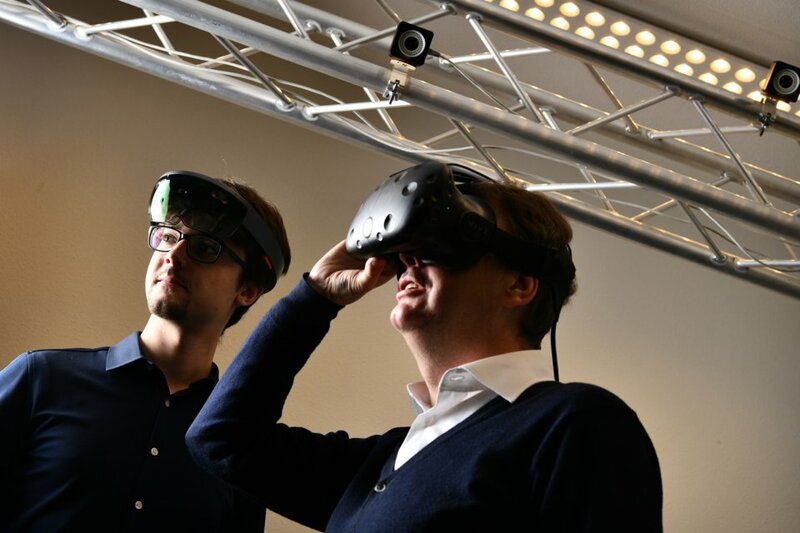 Why Interaction Technology at the University of Twente? The range of (English-taught) programmes related to Interaction Technology offered by universities around the world is growing, yet still limited. Ours is different from those already existing. Since our programme is able to combine the best insights from domains like Computer Science and Electrical Engineering, you will learn to merge those insights into innovative applications with an impact on society. And our university is different from others, too. Check our I-Tech programme’s distinctive features and explore the unique benefits of studying the UT below. Our combination of in-depth technological courses with the option of focussing on a role as researcher, designer or entrepreneur will make you a highly trained engineer with a broad, cross-disciplinary outlook – a rare and much wanted combination on today’s job market. While this programme does cover the breadth of Interaction Technology disciplines, you will not become a generalist; instead, you can tailor the programme to your own needs and wishes, specializing in the areas of your own choice. Many graduates with a Bachelor’s degree in, say, Creative Technology, Electrical Engineering or Computer Science are eager to deepen their technical knowledge and skills, but not exclusively: they also want to add entrepreneurial, research and design capabilities to their tool kit. This is one of the few Master’s programmes that offers real growth opportunities in those directions. The University of Twente is among the world´s leading technical universities, which means you will be studying on the cutting edge of technological advancement (QS Stars awarded us five stars, placing our university on a par with such universities as Harvard and Yale). You will be surrounded by knowledge and new technology and throughout the I-Tech programme and we will expose you to some of the world’s leading researchers. The UT has a high international profile (like the I-Tech programme itself, which draws a large percentage of international students), meaning that on graduation your language and cross-cultural skills and experience will open doors for you into almost any international setting. At the UT you will gain highly valuable experience in working in teams and across disciplines through our hands-on, project-based education, in which you tackle real problems in small teams: excellent preparation for the job market. We invest a lot in your professional and personal growth. Our student-driven learning concept means you get to carve out your own learning path, while our job is to mentor, monitor, coach and instruct you, helping to ensure that you reach your goals. We view ‘high tech’ as a force that will only reach its full potential if coupled to a distinctly ‘human touch’. We believe new technologies will be all the more successful and meaningful if people with a clear understanding of human needs and wants – and a drive to connect the two – are involved. We believe in people as much as in technology! The UT offers a unique park-like campus that functions as a smart living lab. It hosts world-class studying and research facilities as well as an abundance of cultural and recreational opportunities – studying and living here is an experience in itself.